Every family would like to save money on their water bill, but it can be tricky since so many daily activities require the use of your home water system. Luckily for you, there are three simple changes you can make to your daily routine to help you save water at home right now. Baths are a nice, relaxing ending to a rough day. Unfortunately, if you’re wanting to save water at home, frequent baths are not going to help you achieve this goal. The average bubble bath uses between 35 and 50 gallons of water. Compare that to the water consumption of a quick 10-minute shower, which is around 25 gallons for the average showerhead. If you set a timer to only 5 minutes and turn off the water while you are washing your hair or shaving, you can easily cut the consumption into less than half of that. Baths are best left as an infrequent treat while being replaced by water-saving showers. The faucets in your home are the literal gateways to your home water supply. Faucets should be monitored closely when you embark on the goal to save water at home. If you wash your dishes by hand, do not leave the faucet running. Wet your dishes just a little, turn off the faucet, wash them with a soapy cloth or brush, turn the water back on to rinse them, turn the water back off, and then leave them to dry in the dish drainer. Brushing your teeth can also use excessive water if you keep the faucet running the whole time. Instead, wet your toothbrush, turn off the faucet, brush your teeth, and turn the faucet back on to rinse your toothbrush. Remaining mindful of turning off your sink faucets when the water isn’t in use is going to be crucial in saving water at home. To further help you save water at home, a quick trip to the local home improvement store will provide you with a stylish selection of low-flow fixtures to install in your home. 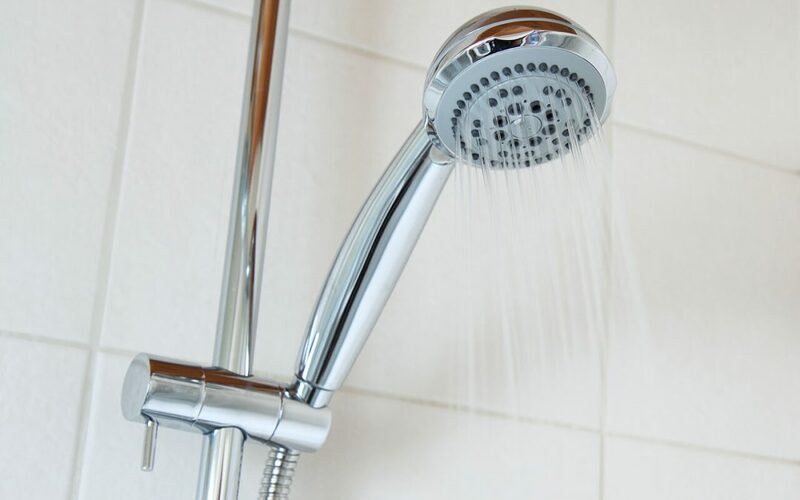 A low-flow showerhead for your bathroom will reduce the amount of water that is released during your shower. A normal showerhead will use around 2.5 gallons of water per minute while a low-flow showerhead will release 2 gallons of water per minute. There are also low-flow faucets that can be installed in the sinks in your home. The water knobs will function normally, but the low-flow aspect of the new faucet will reduce the amount of water released. Tyler Home Inspector provides East Texas with home inspection services. Contact us to make an appointment.